I like to announce new items on the blog, and I'm afraid I've been a little neglectful of that lately. 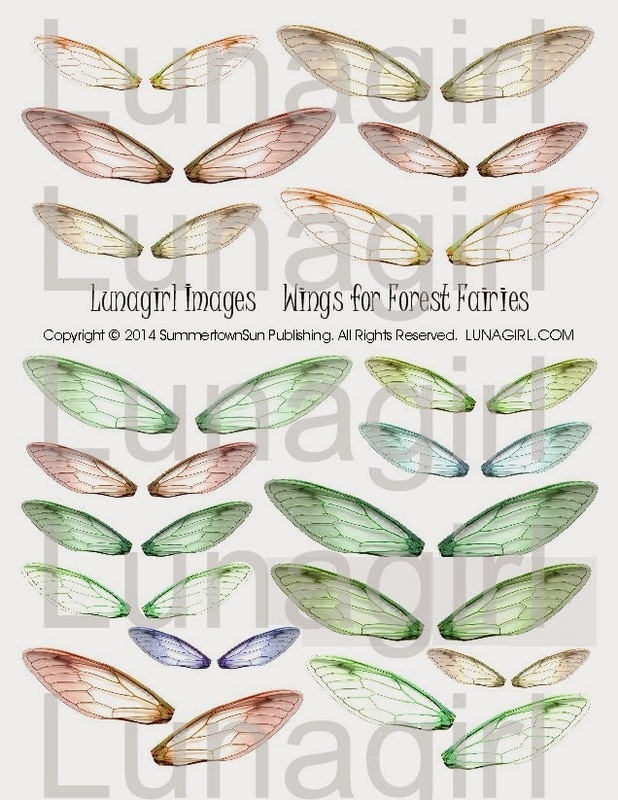 So here is a new digital collage sheet I've created featuring some pretty fairy wings for spring and summer fairy-watching in the garden. I created these wings "from scratch" (rather than altering vintage pictures) so I'm especially proud to offer them to you and I hope you can have some fun with them! More new products coming soon, I hope ~ so many ideas, so little time!